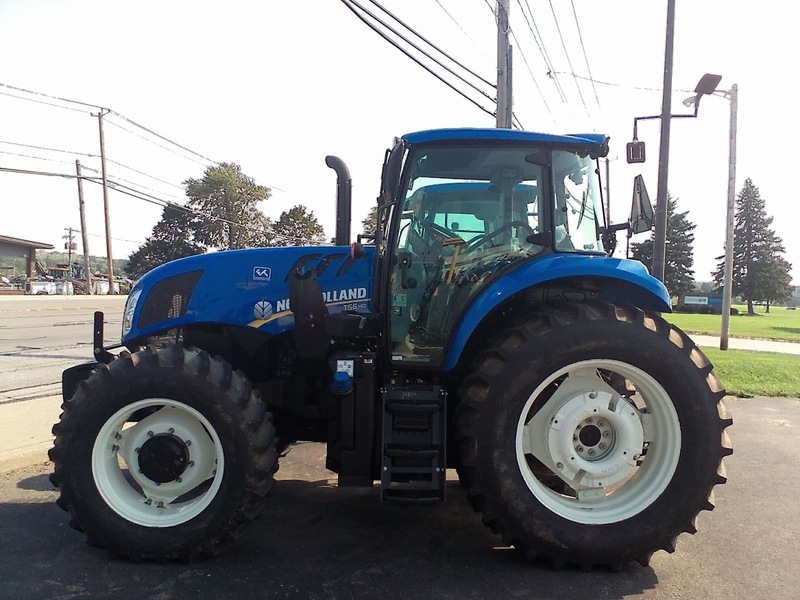 2016 New Holland Agriculture TS6 Series - Tier 4B TS6.140 for sale in Batavia, NY. 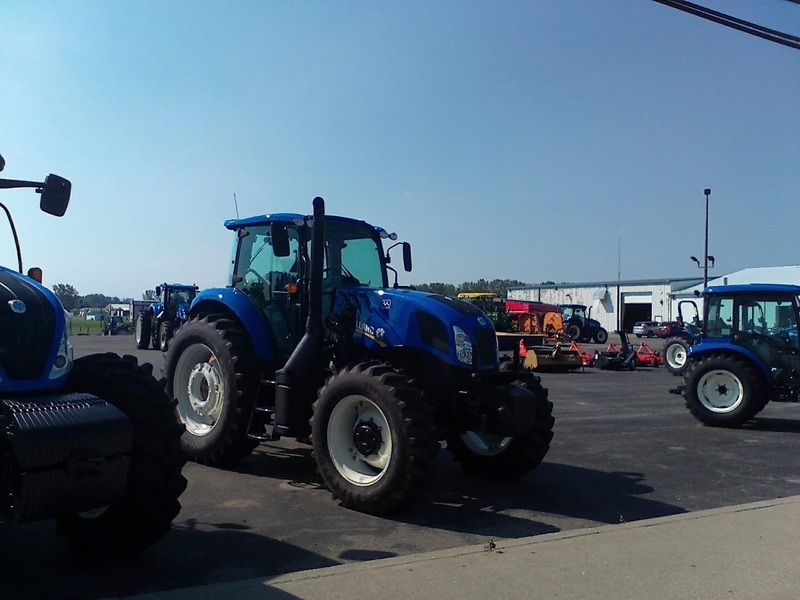 Empire Tractor, Inc.
TS6 Series tractors are the new face of standard tractors, yet these tractors are anything but basic. They’re big on power and efficiency, loaded with comfort, and ready to handle your toughest tasks. 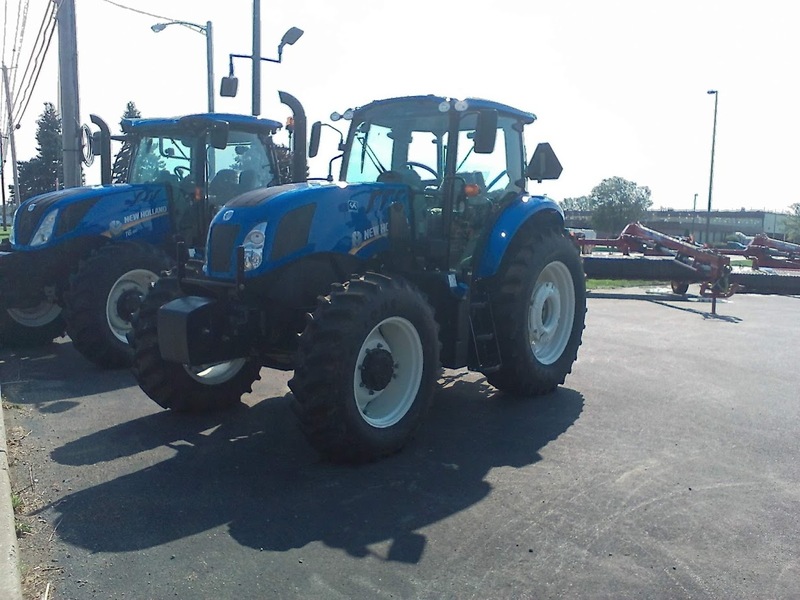 In short, they’re your best choice if you’re looking for a strong, modern and affordable all-purpose tractor. A Huge Leap in Performance and Efficiency: TS6 Series engines are Tier 4B emissions certified, and deliver power and performance without compromise. 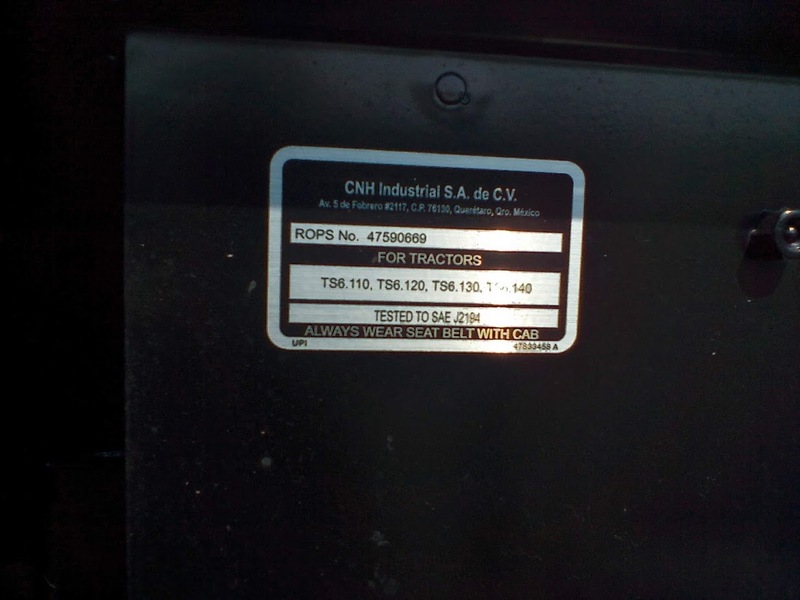 The common rail fuel injection system provides precise metering of fuel injection which reduces engine noise, has better fuel combustion, higher horsepower per cylinder, lower emissions and enhanced fuel economy. 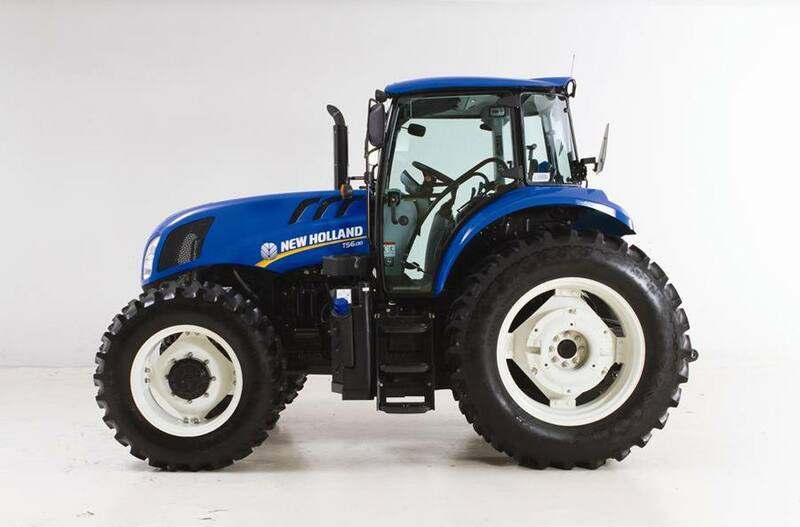 More Power and Torque Than Previous TS6 Models: TS6 four-cylinder engines use the latest New Holland engine technology to maximize the power delivered per cylinder, resulting in performance that’s significantly better than the Tier 3 engine used on previous TS6 models. With four valves per cylinder, and the electronically controlled common rail fuel system, these engines generate more torque, more quickly and hold it longer for better lugging ability. 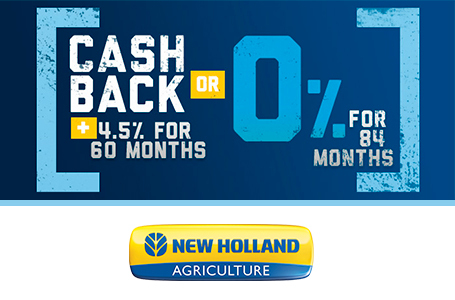 You get better throttle response and a noticeable increase in loaded engine performance in difficult crop or soil conditions. 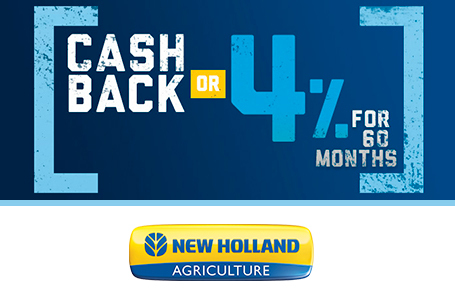 ECOBlue™ HI-eSCR Technology—One Simple Solution: New Holland’s ECOBlue HI-eSCR after-treatment system is a simple solution that not only reduces emissions, but also improves fuel efficiency so you complete more work with less fuel. Cleaner Air with Dust Ejector: The engine gets cleaner air thanks to a new radiator fan shroud that creates a vacuum that pulls debris from the air filter. Added Ventilation: Slanted rear-side louvers provide additional ventilation for the Diesel Oxidation Catalyst (DOC). 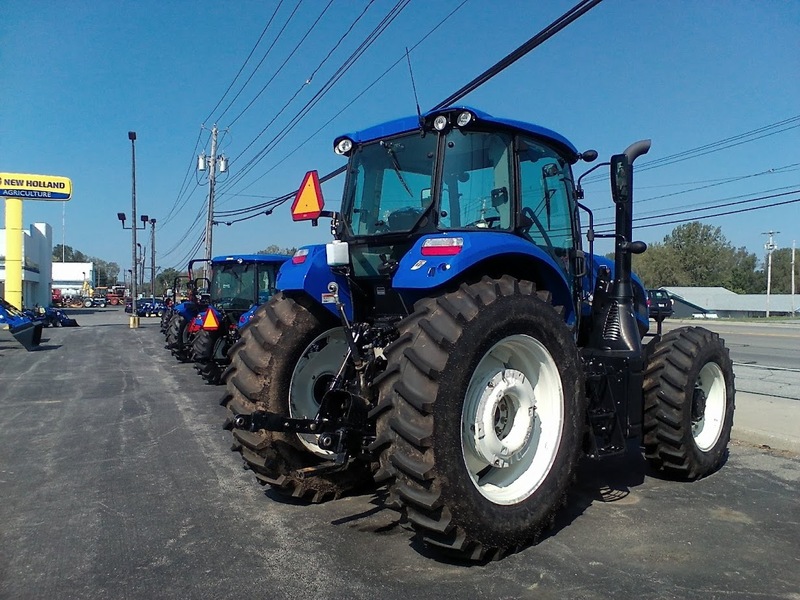 More Comfort and Visibility: Operating ease and superior visibility are part of TS6 tractor design. 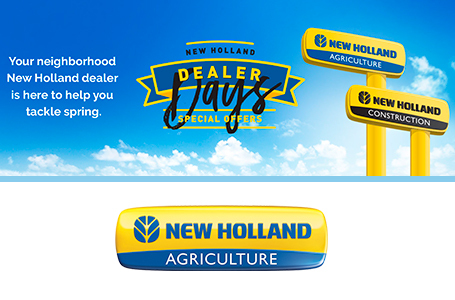 Whether you choose a TS6 tractor with an open, flat-deck platform or the exclusive New Holland VisionView™ cab, you will experience industry-leading comfort and control. Both cab and non-cab models feature 360-degree visibility and the CommandArc™ console with convenient, natural placement of controls that require minimum effort. Improved Lighting: The VisionView cab features eight work lights—four in front and four in back—for working at night or in low light. Non-cab models feature a rear work light mounted on the ROPS for continued work after dark. VisionView™ Cab: The VisionView cab features two wide clear doors, a large window in back and an expansive windshield with a sleek, curved roofline that gives you excellent visibility that is especially good for loader work. An optional high-visibility roof panel expands your view even higher so you get an effortless view to a raised loader bucket. The panel also opens for added ventilation. A retractable sunscreen for the upper windshield and roof window cuts glare. 10 Vents for All-temperature Comfort: Dual-fan cooling and heating includes 10 vents to keep you comfortable no matter what the weather. Comfortable Seating: A comfortable mechanical suspension seat is standard with the Value package, while a deluxe air suspension seat with swivel and full-size, cushioned instructor seat is included in the Plus package and is optional on Value models. 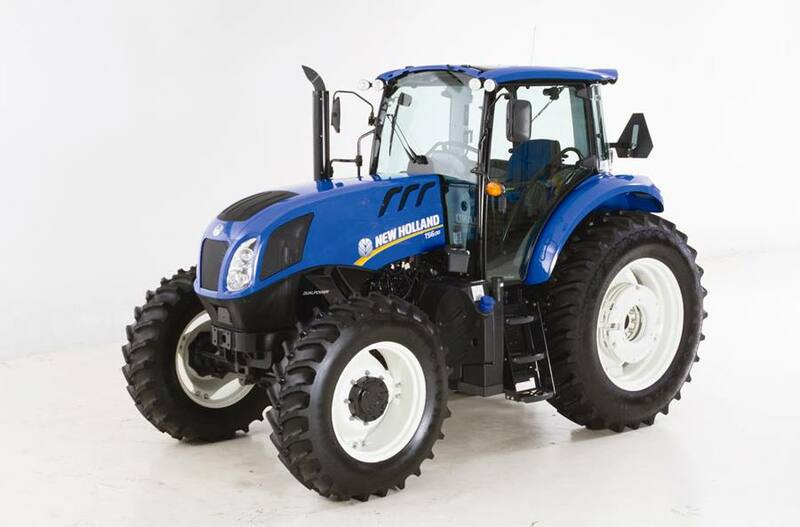 Comfortable Flat-deck Platform: If you choose a TS6 tractor without a cab, you’ll find the spacious, open operator platform with ROPS is a great place to work. The true flat deck gives you plenty of foot and legroom since all pedals are suspended and there’s no driveline hump. The seat and tilt steering wheel adjust for your comfort, and the dash-mounted instrument cluster gives you a clear view of operating information. 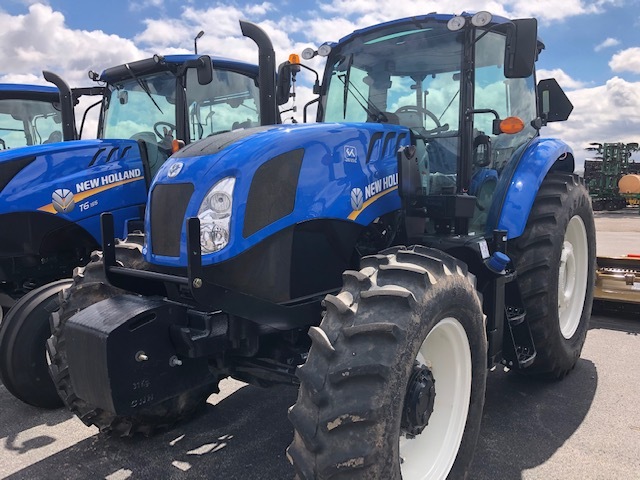 Proven Choices to Match Your Needs: TS6 Series tractors offer a selection of reliable transmissions, including a choice of a 19-mph or 25-mph road speed and choice of mechanical or power forward/reverse shuttle. Power Shuttle: The easy-to-use, left-hand power shuttle provides fast, smooth direction changes and is ideal for loader work. 25-mph (40-kph) Road Speed: Choose the faster 25-mph road speed for faster field-to-field travel and to shorten long transport trips. 10:1 Creeper: For slow speed applications, an optional 10:1 Creeper is available on all transmission to provide speeds as slow as 0.136 mph. You engage it electro-hydraulically using a switch on the Command Arc™ console. 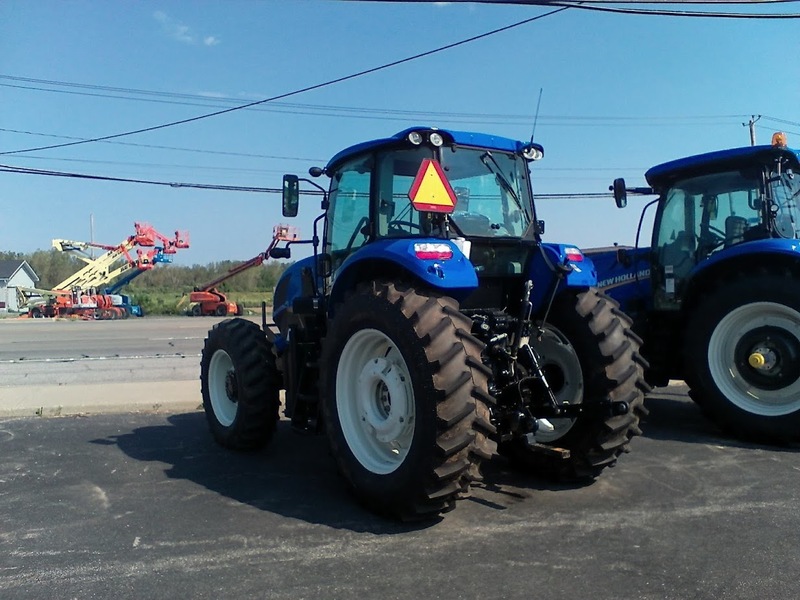 Total Flow Up to 29 GPM: TS6 Series tractors have the hydraulic flow to handle demanding implements. Both Value and Plus models feature a 13-gallon-per-minute (gpm) implement pump and a dedicated 7-gpm steering pump. A 9-gpm auxiliary pump is standard on Plus models and optional on Value models, for a total flow of 29 gpm. Implement hydraulic oil flow will be less than pump flow measured at the remote couplers. Rear Remotes: Rear hydraulic remote valves are controlled by the ergonomically placed levers on the CommandArc™ control console. Two deluxe closed center hydraulic remote valves with couplers are standard equipment, with an optional third and fourth valve. Up to 7,326 Pounds of Lift: You can handle heavy three-point-mounted implements with ease. 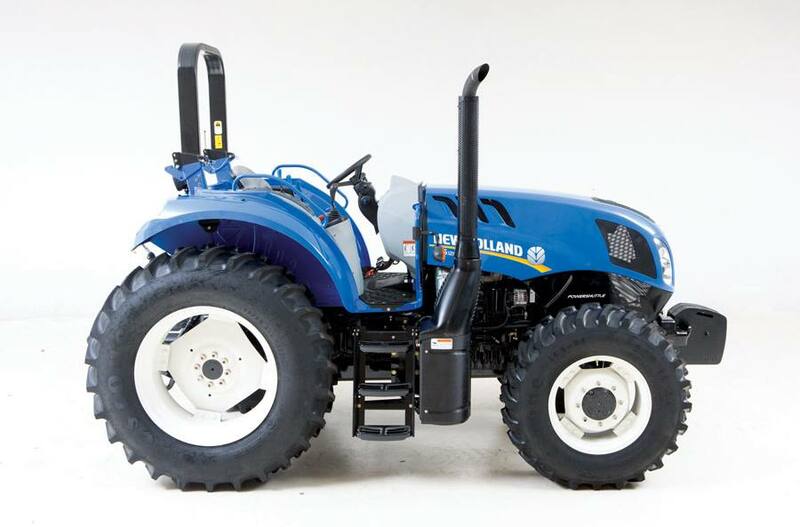 The standard 3,735-pound lift capacity is a great match for most implements. Increase it to 5,499 pounds by adding one optional auxiliary lift cylinder, or add two lift cylinders to increase to 7,326-pound lift capacity. No matter how heavy the implement, the standard telescoping stabilizers and flexible link ends provide easy hook up to any 3-point hitch tool. An external ground control of the three-point hitch is included with the Plus package. Axles That Are Right for the Job: You can tailor your TS6 front and rear axles to match your specific needs. 2WD Front Axles: If you need a simple powerhouse, then the 2WD front axle is the right choice for you. On the TS6.110 and the TS6.120, choose from a standard-duty 2WD front axle with a 5,000-pound capacity, or the heavy-duty 2WD front axle with a 6,614-pound capacity for loader work. The heavy-duty 2WD front axle is standard on the larger TS6.130 and TS6.140 models. 4WD Front Axles: If you need more traction or pulling ability, consider upgrading to the 4WD front axle. 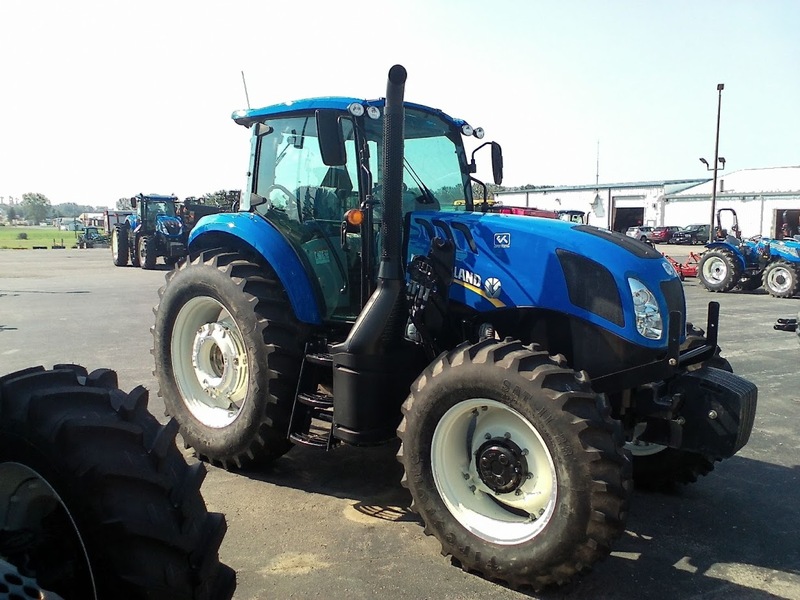 The standard-duty 4WD front axle for the TS6.110 and TS6.120 tractors offers a capacity of 8,378 pounds. The 9,039-pound-capacity, heavy-duty front axle handles the additional weight and stress that comes from higher horsepower applications. It’s standard on TS6.130 and TS6.140 models. Rear Axles: If you are mowing, raking, baling, or simply don’t need to worry about row spacing, the standard, heavy-duty flange axle is the perfect choice for you. If you need more flexibility, choose the 98-inch bar axle. 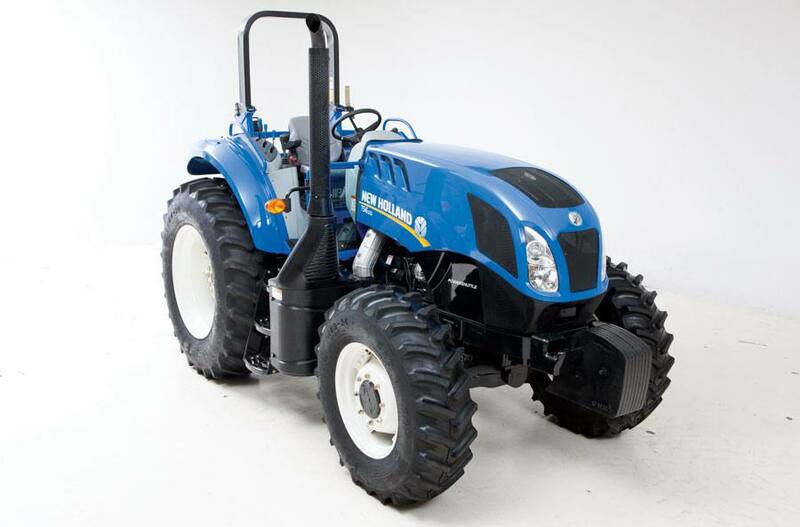 It adds rigidity and adjustability to straddle wide hay swaths or for row-crop applications. Complete Access for Easy Cleaning and Maintenance: The TS6 hood flips open without tools, providing unrestricted access for servicing. Extended 600-hour Service Interval: A longer 600-hour service interval means you stop less often for service. Fast Fill-ups: Filling the fuel and diesel exhaust fluid (DEF) is convenient and large tanks – 57.5 gallons for fuel and 7.9 gallons for DEF – mean you stop for fill-ups less often. Oil flow at the remote couplers will be 10% to 15% less than pump flow. Dimensions shown are with 18.4-38 R1 rear tires and 14.9-28 R1 4WD front tires or 10.00-16 2WD front tires.